This fort is located in the district of Pudukottai approximately 90 km from Madurai. 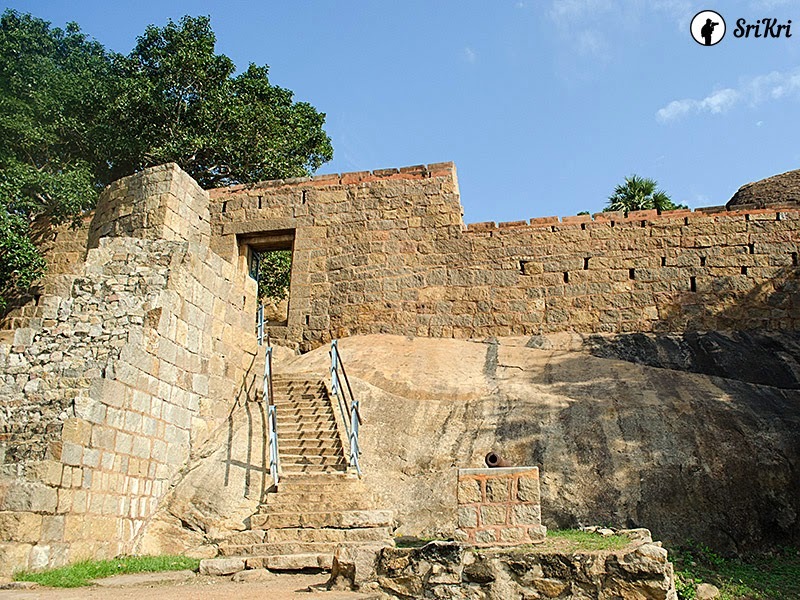 "Sethupati Vijaya Raghunatha Thevan (1673-1708) of Ramanathapuram, popularly know as Kilavan Sethupati, built this fort on and around the rock at Tirumayam in the year 1687. 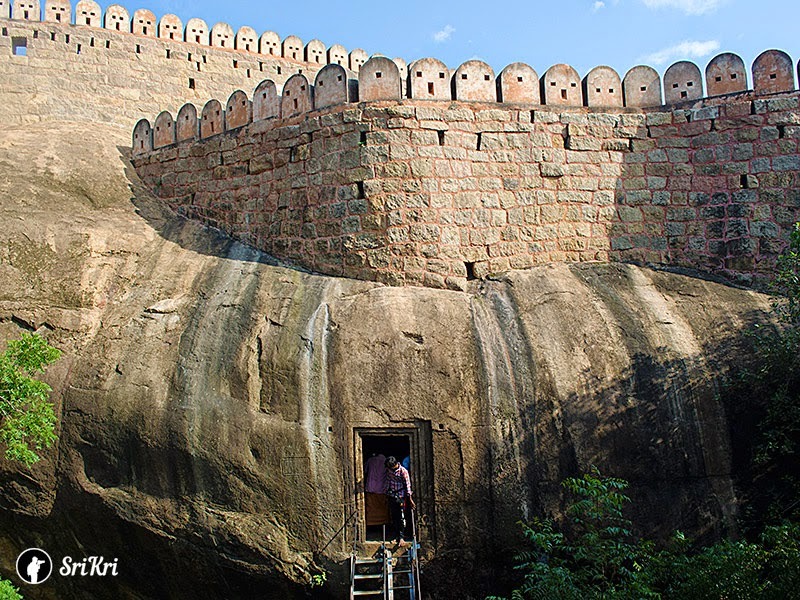 Later the fort was handed over to his brother-in law Raghunatha Raya Tondaiman. 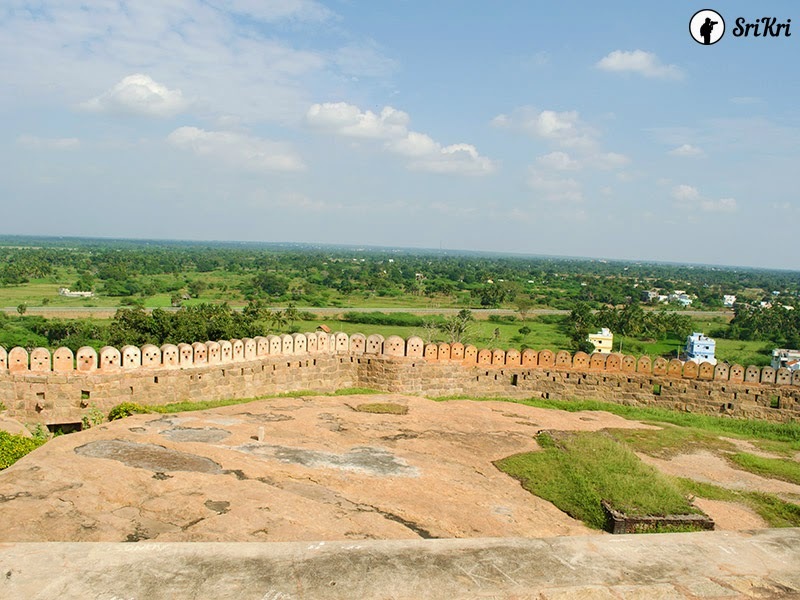 The fort originally said to have been a "ring fort with seven concentric walls has only four surviving now. 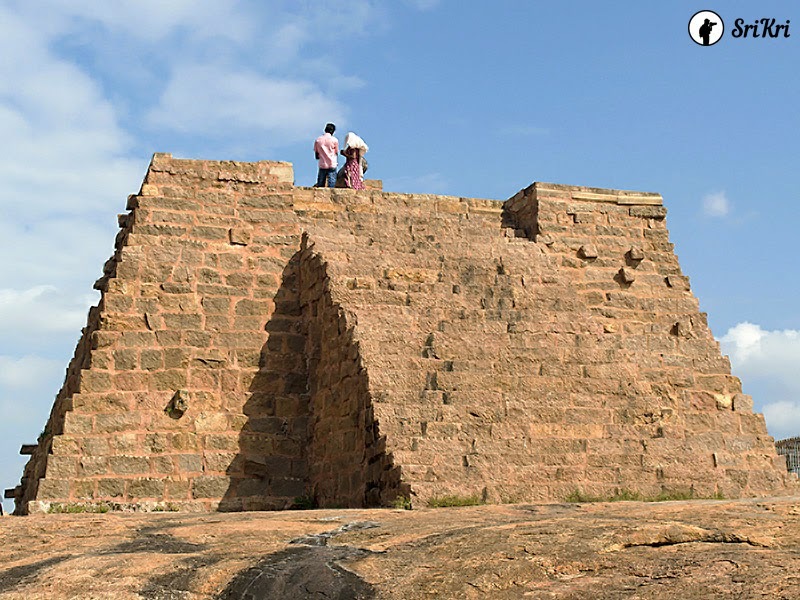 The construction of the fort is of inferior quality as small blocks of stones were used along with bricks for the building of the fortification." 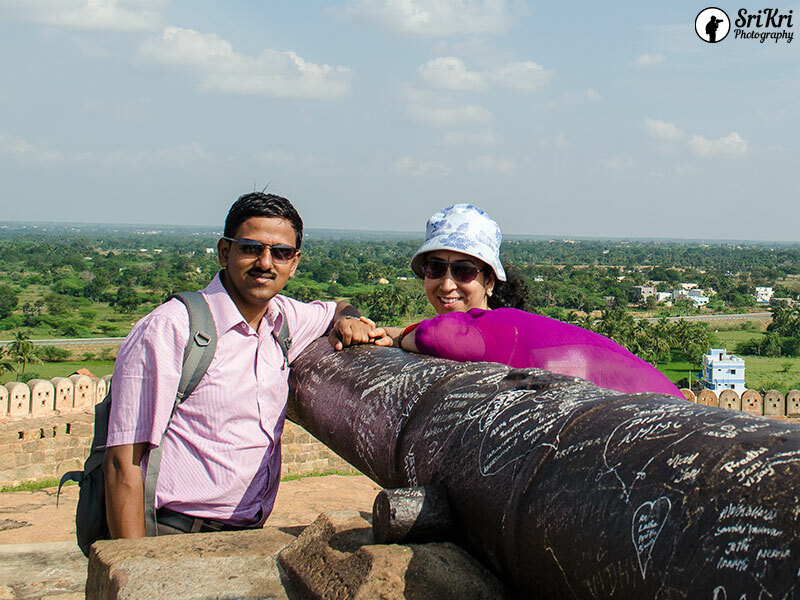 - as put up at the entrance of Thirumeyyam fort . 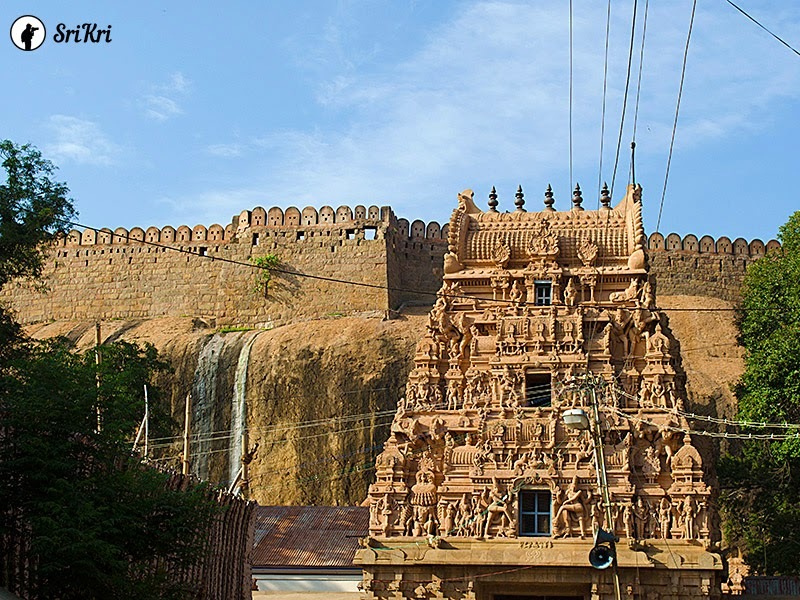 At the base of the Thirumeyyam or Thirumayam fort, there are twin temples. Every Tuesday, there will be rush near Durgai amman sannidhi (sanctum) as many ladies will be offering prayers. Satyamurthy Perumal Temple: The temple timing mentioned as 4 pm but they opened only at 4.30 pm. 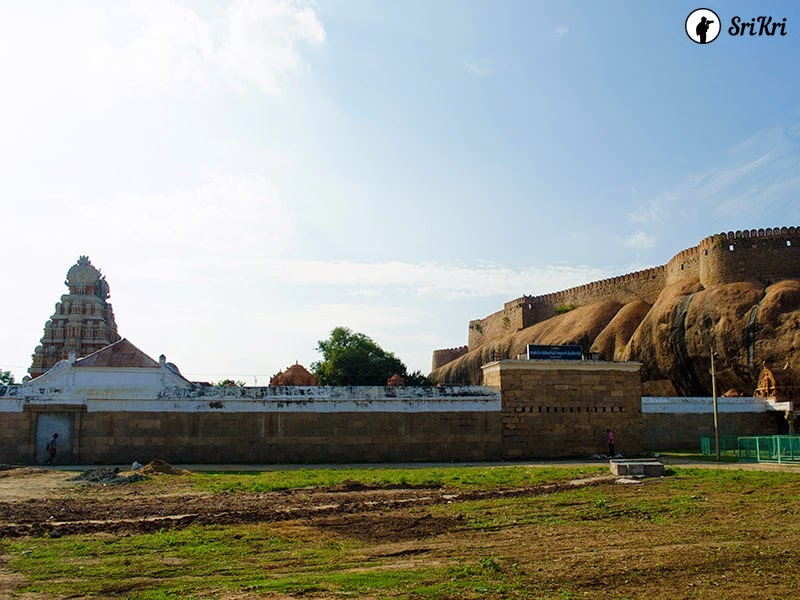 This is one among the 108 Divya Deshams, the 7th Century Pallavar reign temple is dedicated to Lord Vishnu. The main deity Satyamurthy Perumal is in the reclining pose on Adishesha (the king of all Nagas, serpent deities). 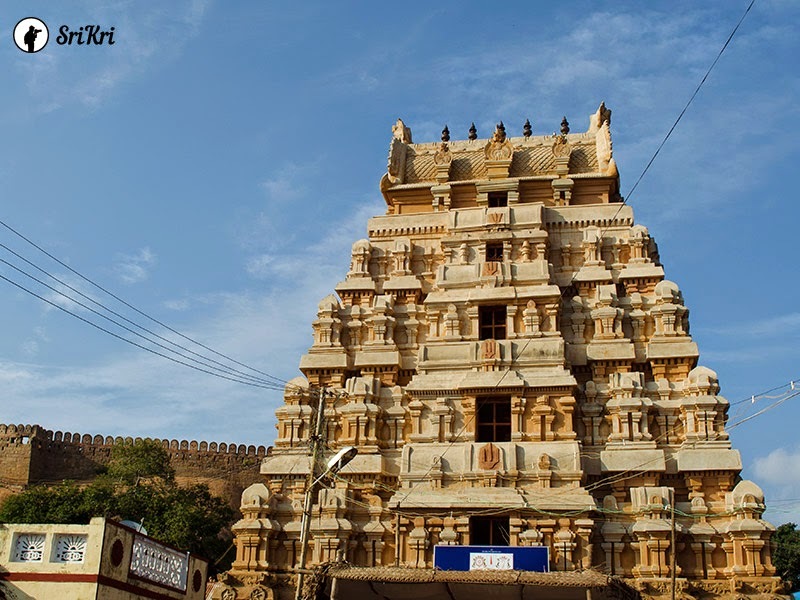 Chitragupta, Chandra, Surya, Raghu, Devas, Sapta Rishis, Garudazhwar can be seen in this temple. 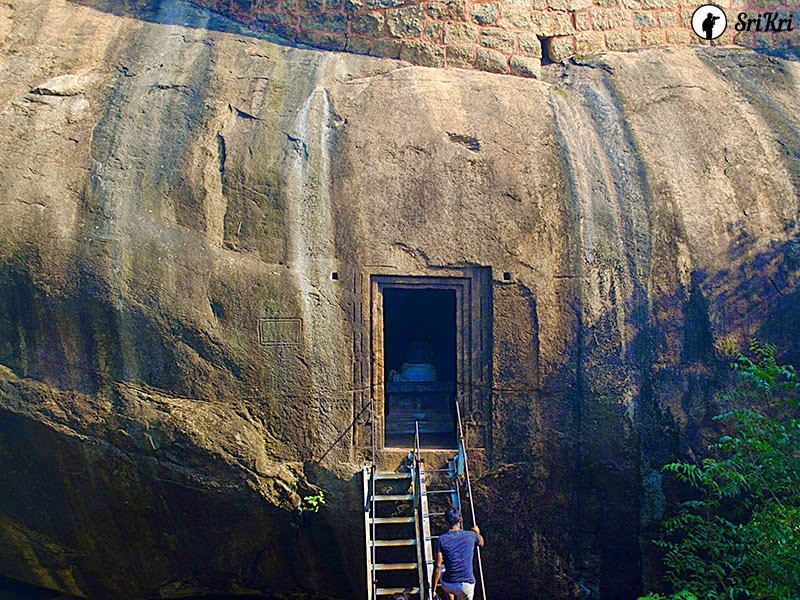 On the wall of the sanctum, there is a beautiful paintings of Lord Brahma emerging from the naval of Lord Vishnu. Sridevi and Bhoodevi is at the Lotus feet. The Utsavar is called Thirumeiyyar perumal. One can have a close darshan here. Other deities were not clearly visible due to poor light. Outside the temple premises one can have hot milk and coffee prepared at home by locals.